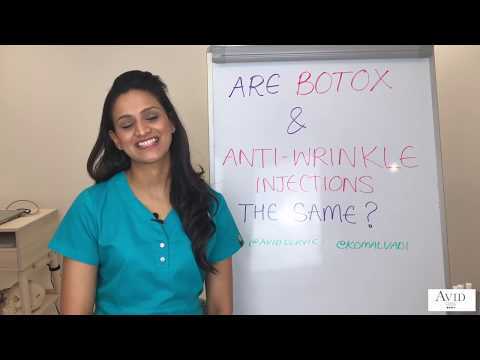 Are Botox® and Anti-Wrinkle Injections the Same? Over-activity of the facial muscles over time often results in the development of wrinkles and lines in areas of greatest use. Botulinum Toxin temporarily relaxes these underlying muscles responsible for wrinkling, giving the face a softer, more refreshed appearance, without reducing your ability to produce a natural range of facial expressions. Ideal for reducing the appearance of wrinkles that appear as frown lines between the eyes as well as those annoying forehead lines and crows feet. Botulinum Therapy helps to temporarily relax your muscles on the face responsible for the appearance of fine lines and wrinkles, giving the face a softer, rested and more refreshed appearance, without reducing your ability to produce a natural range of facial expressions. Dr Komal Vadi (BDS) is a highly skilled expert in wrinkle relaxing treatments. All treatments performed by Komal are focussed on working with what you already have and getting the best out of your natural features. The ‘signature look’ Komal always strives for is natural, balanced and harmonious. Friends might comment on how good you look, or ask whether you’ve been on holiday rather than suspecting you may have had ‘something done.’ Komal aims to ensure optimum results to improve long-term self-esteem and preserve the physical and mental wellbeing of her patients. Botox® is a prescription only medicine, developed during the 1970s and receiving full approval in 1997 for cosmetic use. Botox®, is now the most commonly requested cosmetic medical procedure worldwide. The procedure is quick, easy with undeniable results and can be used successfully in combination with other rejuvenation treatments. Following a face to face consultation and a thorough assessment of your face and muscles in action, we discuss with you what you would like to achieve. If you are suitable for treatment and decide to go ahead with the procedure, we will arrange this for you. The treatment will involve Komal painlessly inserting the Botox® using tiny needles into specific facial muscles. This temporarily relaxes the muscle which in turn creates a smoother appearance of the overlying skin resulting in softening of the wrinkles and revealing a fresher and more rested appearance. The untreated muscles move as normal; thus preserving normal facial expressions. Crows feet or laughter lines – at the corners of the eyes. Worry lines – horizontal wrinkling of the mid-forehead. Frown lines – vertical lines between the eyebrows. Not at all. Dr Komal Vadi is extremely gentle and will talk you through what to expect step by step. No anaesthetic is needed, only a mild temporary discomfort may be experienced. Yes, it has been approved by the FDA for cosmetic use and has been used for over 30 years without any long-term problems. Any side effects are temporary and localised to the injected area. As long as it is administered by a qualified medical professional, the risks are extremely minimal. While there is no real downtime or side effects associated with this treatment, it is important to note that you may encounter some slight bruising and swelling directly after treatment, due to the needle. This can easily be masked by makeup. You can carry on with your day as normal, although we advise that you avoid strenuous activity; saunas or other facial treatments for up to 24 hours. It takes 3-5 days to take effect, and most patients see the optimum effects after 2 weeks. The result is a softer, more relaxed and pleasant appearance. As the results are temporary, treatment is ongoing. Botox® works gradually and softens lines for 3-4 months. However each face is unique and we will advise you on how many treatments you will need depending on the results you are looking for. Most patients require less frequent treatments over time as the muscles ‘re-train’ from disuse. No, definitely not. We use the very latest products and techniques and have undergone expert training which enables us to minimise any possible loss of facial expression by injecting specific muscles responsible for the wrinkles. We’re all about looking natural, so we deliver our treatments with the utmost skill and care to ensure that you’ll look great and not like you’ve had something done. The treatment will be tailor made for your specific requirements. We will work closely with you to achieve the result you wish. Does it Really Prevent Wrinkles and Lines Forming? Botox® treatments also work as a preventative measure. If the skin is unable to crease, wrinkles are not able to develop. Over time the benefits of this treatment become more impressive. 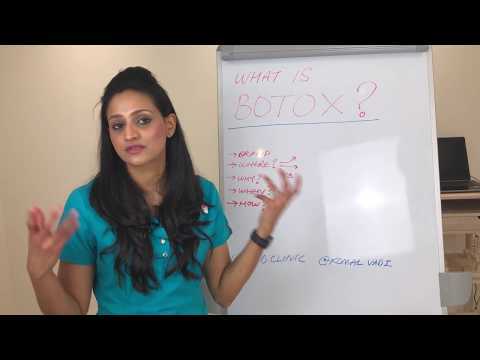 Am I a Suitable Candidate for Botox®? Treatment can be used on a wide range of patients, and is primarily used for skin rejuvenation and the reduction of fine lines and wrinkles. Botox® is great as a stand alone treatment and is also used very successfully in combination with other rejuvenation treatments.